It’s always super satisfying to run our fingers through soft hair, but because of factors like hair type (take coarse hair, for instance), hair damage, or environmental factors such as wind and cold weather, our strands sometimes aren’t as silky as we’d like them to be. 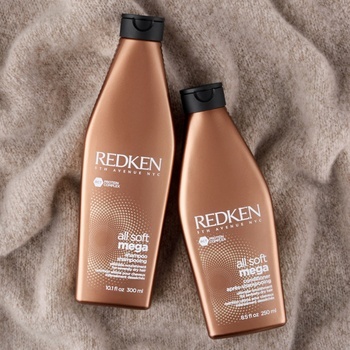 If your hair is feeling dry and lifeless after a long, harsh winter, Redken has you covered with tips and tricks to give your hair the moisture and softness boost it's craving just in time for spring. Read on to discover several things you can do to moisturize and add softness to your hair. Soft hair starts in the shower, which means that a nourishing shampoo and conditioner is a must. Lathering up the All Soft Mega system can help because it’s infused with a superfood-rich blend of sacha inchi extract, aloe vera gel, and cactus extract. These ingredients work together to address and treat dryness in hair because they moisturize from root to tip. Part of the reason that hair starts feeling rough and coarse is that it lacks hydration, so using All Soft Mega’s moisture-rich shampoo and conditioner instantly quenches thirsty hair without stripping it. "Think of All Soft Mega as that giant glass of water you need when you are feeling dehydrated." 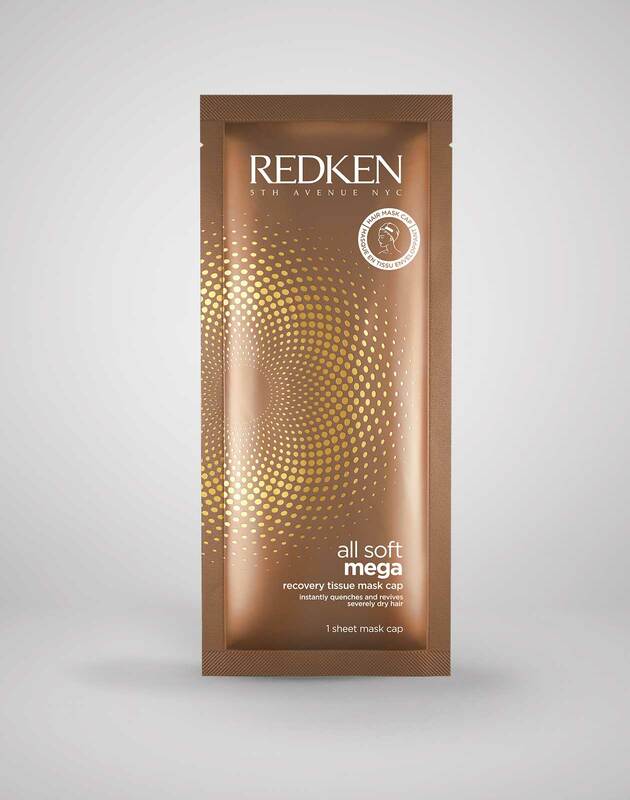 says Redken Artist Kyle Pinneo, "All Soft Mega is Redken's most hydrating line and will not only help replenish your hair's moisture, but the key ingredients will also help the hair retain that moisture." By introducing moisture, conditioner makes hair silky and smooth. In the shower, apply it from mid-shaft to the ends, avoiding the roots, where hair is the newest. (If you frequently color your hair or have damage, feel free to bring the conditioner all the way up to the root—just be sure to rinse thoroughly). 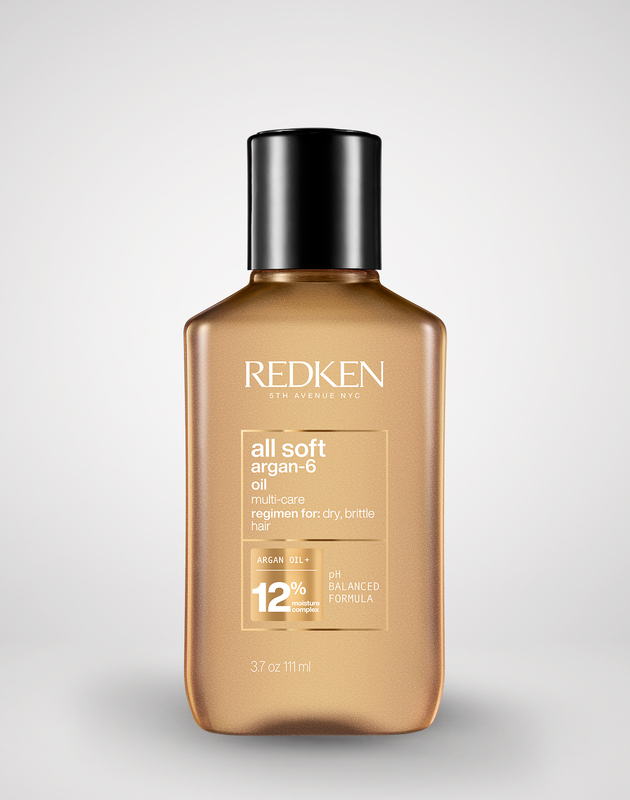 For normal to dry hair, use All Soft Softening Conditioner. 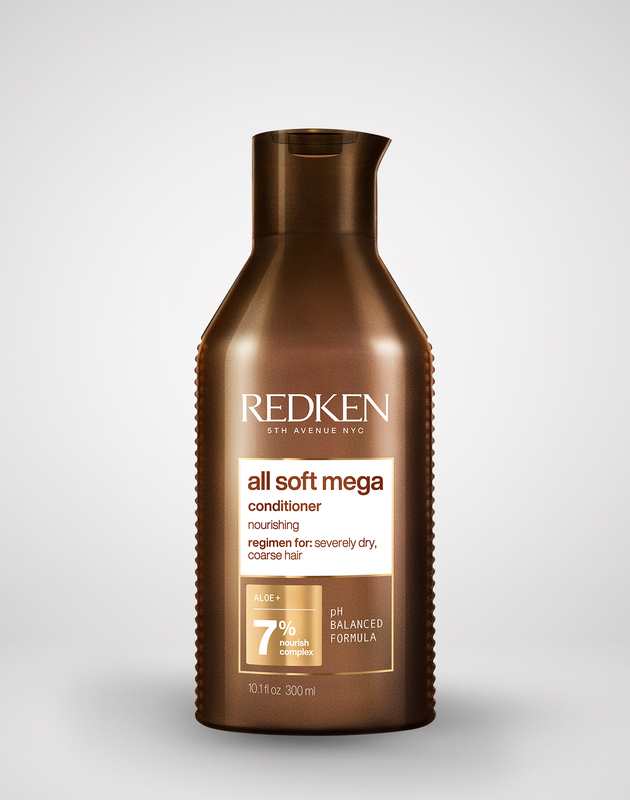 If you have severely dry or coarse hair, use All Soft Mega Moisturizing Conditioner. Once you rinse, you’ll have soft hair that is more manageable and easier to comb through. Overwashing your hair can strip your scalp of natural oils, which create a moisturizing barrier on your scalp. Instead, determine how often you should wash your hair depending on how quickly your roots turn greasy. 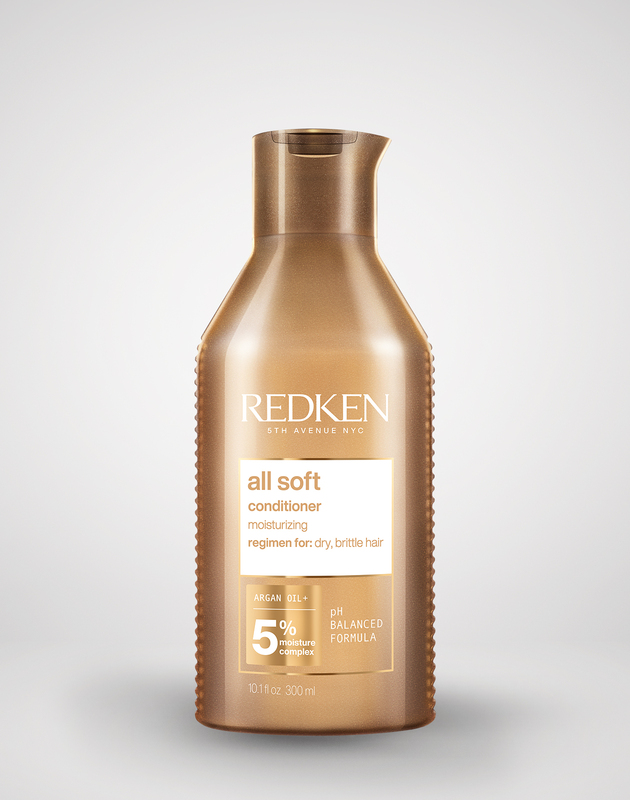 If your hair is only moderately dry, reach for All Soft Softening Shampoo. 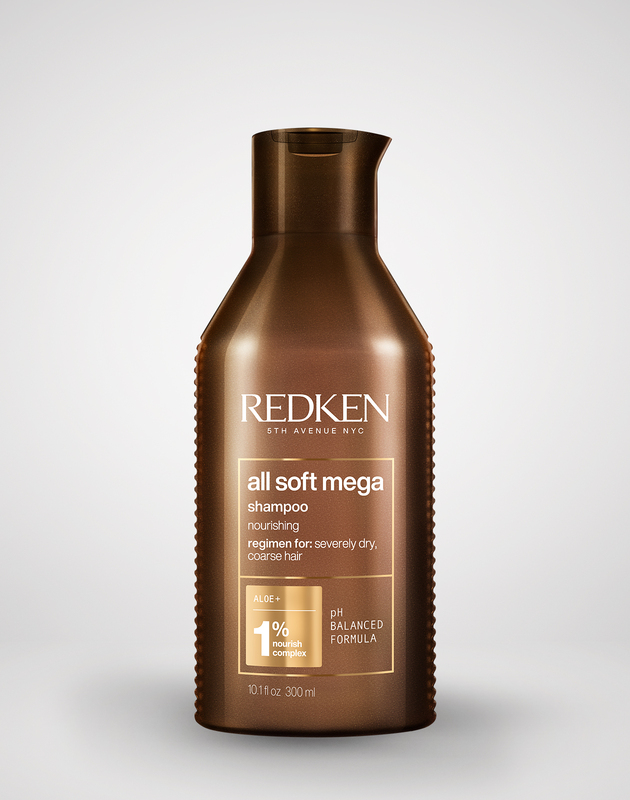 If you experience extreme dryness, use All Soft Mega Moisturizing Shampoo. PRO TIP: Do you know the difference between All Soft and All Soft Mega? 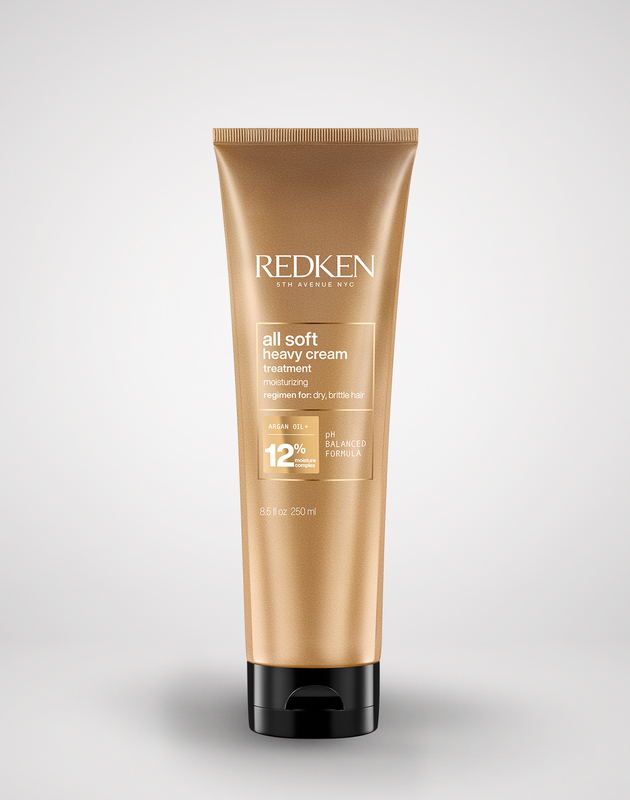 All Soft is meant for normal to dry hair in need of softness and should be used on normal to medium hair types. 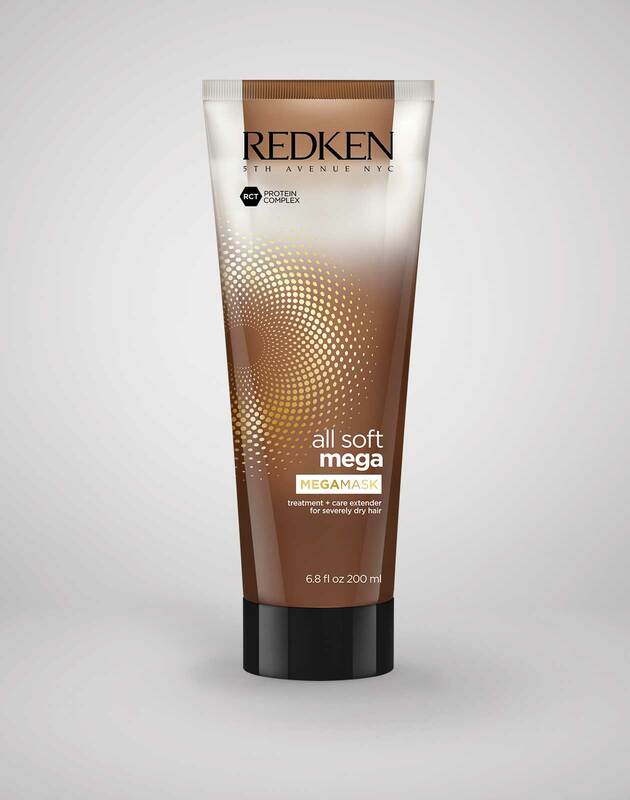 All Soft Mega is meant for severely dry, coarse hair in need of extreme moisture. It should be used on medium to coarse hair types. 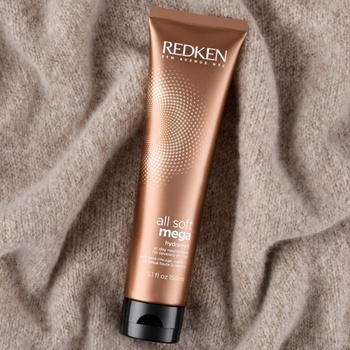 When used with the shampoo and conditioner, the Mega Mask helps keep frizz at bay for up to three washes which can be helpful when you’re dealing with coarse hair that feels like it’s out of control. 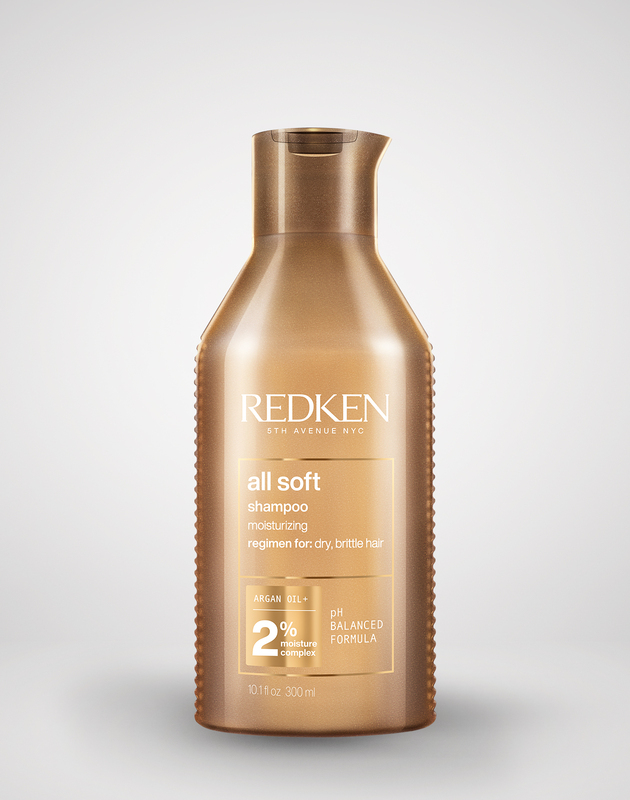 According to Redken Artist Veronica Ridge, your stylist can moisturize your hair during your appointment to help make your styling routine easier. “A system like All Soft Mega can help make the hair feel more pliable and manageable. 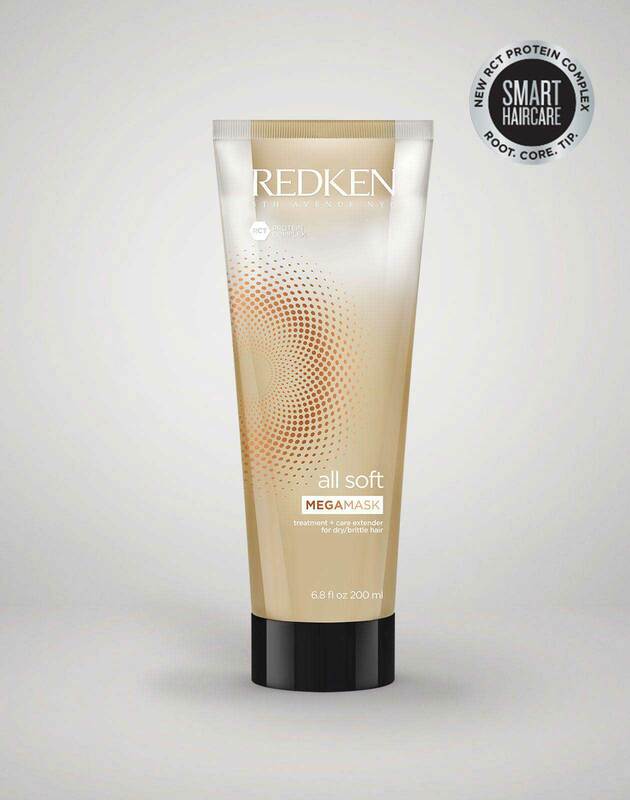 If your stylist uses All Soft Mega on your severely dry hair during your appointment, it can be easier style it at home. This will allow you to use less heat on your hair and avoid over-styling which may help you achieve longer-lasting color results and healthier hair. It all comes full circle,” she explains. For an extra boost of softness and shine, oils, masks and creams can be used in addition to your shampoo and conditioner. The All Soft Heavy Cream Mask moisturizes dry, brittle hair while controlling frizz, while the All Soft Mega Hydramelt, a lightweight, leave-in lotion, tackles supreme dryness. It hydrates coarse hair and improves manageability, control and shine. "Hydramelt is a must-have to use after the shower." says Pinneo, "It helps seal in moisture while adding softness and shine." PRO TIP: If your hair is feeling especially dry after winter and needs an extra boost of moisture, rub a small dab of Hydramelt in your palms and run it through the ends on dry styled hair. This will help your hair stay hydrated in between shampoos. Heat styling tools like hair dryers, curling irons or flat irons can do a number on your strands, resulting in dull, dry, brittle hair. Air-dry whenever you can, but if you must heat style, use a heat protectant to prevent further damage and add shine. Even better, treat yourself to a 10-minute moisturizing treatment with the All Soft Mega Recovery Tissue Mask Cap. After shampooing, twist your hair into the cap and leave on for 5-10 minutes, massaging your scalp through the cap to work the product deep into your hair. Rinse, and follow with HydraMelt if you're styling. Not sure which hair products to use for your hair type? Check out our Hair Diagnostic Tool for some guidance. Are you a professional? 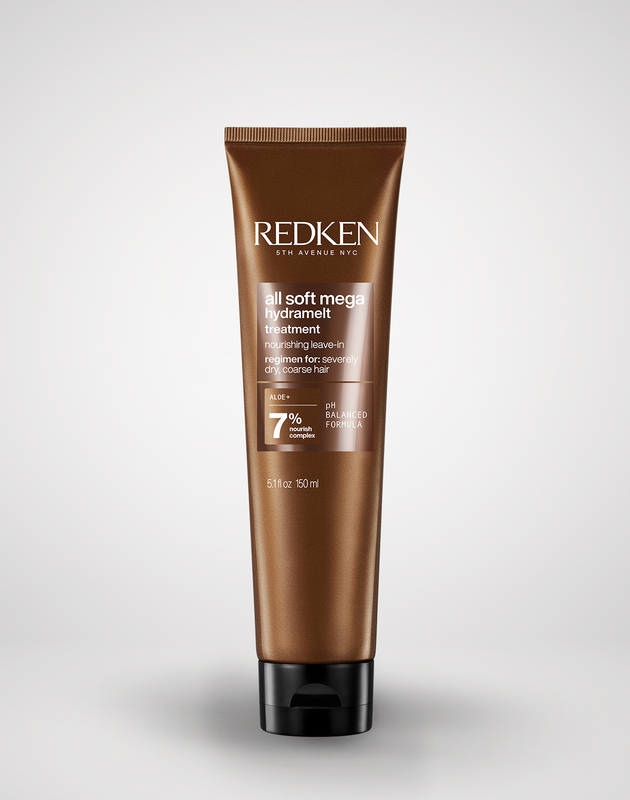 View All Soft Mega on Redkenpro.com for content just for you!